Don’t look now, but the Texas Rangers are four losses behind the Houston Astros with 48 games remaining in the 2015 season. It didn’t take much for Texas to make its move and, as the Angels and Astros continue to falter, the AL West is entirely up for grabs. Here’s a look at the chances of these three teams to take the division — even the forgotten club from Arlington. The Angels suffered a major blow when C.J. Wilson went down for the season right at the trade deadline, but the Anaheim rotation has been solid enough through the season to weather the storm. Offensively, the club has been one of the worst performers in 2015, the presence of Mike Trout notwithstanding. 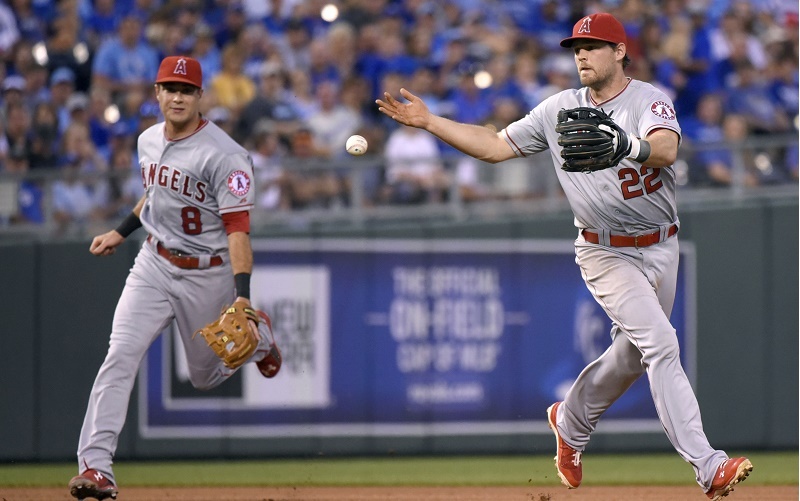 Whether you use batting average (24th), slugging percentage (2oth), or on-base percentage (21st) to appraise the Angels offense, you find it in the bottom 10 teams in the sport. Deadline deals for Shane Victorino and David DeJesus will not move the needle here. The Angels will have to hope for more MVP play from Trout and a continuation of the Albert Pujols resurgence to get enough runs on the board, but they’ll have to pitch well enough to keep the team in the game. August has found the crew from Anaheim in one of its usual slumps. The Angels have managed just 17 runs (2.4 per game) in their last seven games, five of which they lost. More question marks exist in the bullpen. Based on its statistical models, FanGraphs give the Angels a 26% chance to win the division. Nonetheless, they sit two losses behind Houston with 47 games to play and a healthy Mike Trout wreaking havoc on the league. Anything can happen. 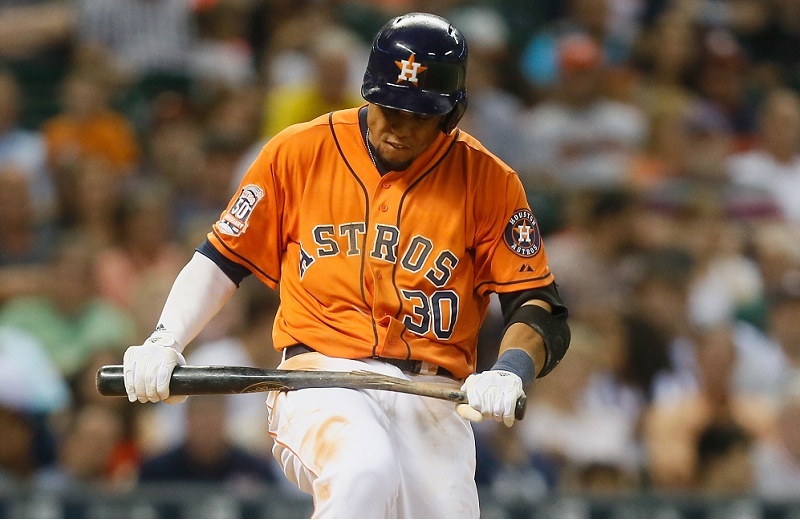 The line on Houston’s playoff chances all year has been “talk to me in August.” Well, on August 15, the Astros have a 2.5 game lead in the AL West and the club just upgraded with Carlos Gomez and Scott Kazmir at the trade deadline. Houston ranks sixth in runs scored in the game and fifth in ERA. FanGraphs gives them a 69% chance to take the AL West. So pencil them in for the division title, right? Not so fast. Between a recent sweep by Texas and three of four they dropped to white-flag-waving Oakland, the ‘Stros managed to keep even the slumping Angels in the race. Gomez has yet to break out for his new team since arriving and, despite the high run totals, Houston remains overly reliant on the home run. They rank 26th in MLB in batting average. After Jose Altuve, the next highest mark on the team is Evan Gattis’s .238 BA. Their upcoming schedule won’t make things easy. After hosting the Rays for four and the Dodgers for three, the Astros will head to New York to face the Yankees before flying out to Minnesota for another three. Likewise, another seven games versus the Rangers (four on the road) should give them pause. How many times have you written off the Rangers in 2015? If you’re like us, at least a dozen or so. However, Texas managed to get back to .500 and put itself in the division hunt with a 10-5 run that included the home sweep of Houston. So we ask those who wondered about the Rangers’ deadline upgrades: Now do you get it? Texas has been scoring runs all year and is tied with Houston for sixth, so the big question mark remains the pitching (4.49 ERA, 27th in MLB). 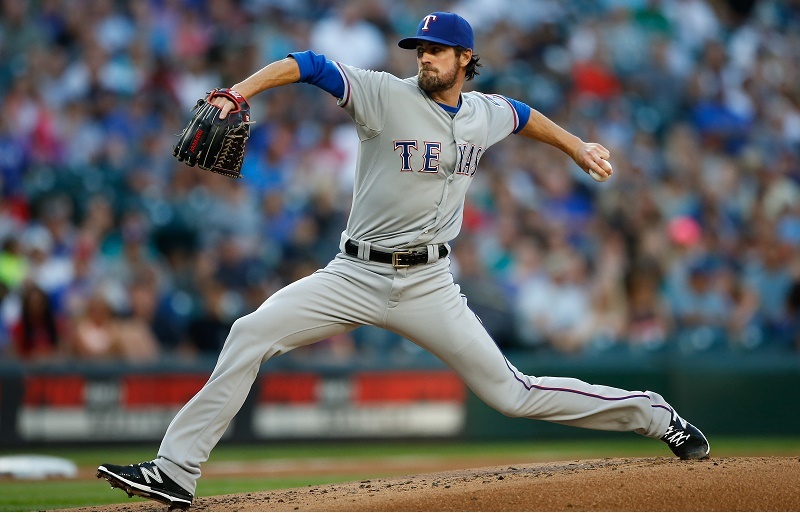 Adding Cole Hamels at the trade deadline was a big move that has yet to pan out through two starts, but we expect a return to form for the lefty. Texas’s best shot is proving offense is the best defense. Many a team has bludgeoned its way to the division title and, with Hamels and Yovani Gallardo giving the club quality starts, there is enough of a chance for Rangers fans to get excited. As for winning playoff series, we can’t get on board the Texas train. However, the AL West is wide open. With 10 games remaining against Seattle and six more against Oakland on the schedule, we ask: Why not the Rangers? Statistics, current as of August 15, were sourced at Baseball Reference.